AzhwAr says that let other things remain as they are. The matter which is very delicious for me is only this (emperumAn). He gives out the reason for his not moving away from emperumAn. After seeing the way emperumAn gave himself for one devotee, prahlAdha, he felt his fear leaving him and he enjoys emperumAn as “he is ours”. varam karudhi – iraNiyan had thought too great of the boons that he had obtained from other dhEvathAs. Just as a person would trust a boat with a hole in it, he was trusting those boons. thannai vaNangAdha vanmai – he was of the opinion that he would not bow down to the sarvESvara, who is the causative factor for those dhEvathAs too. iraNiyan had the same behaviour as rAvaNa who said in SrI rAmAyaNam yudhdha kANdam 36-11 “dhvidhA bhajyEyamapyEvam na namEyanthu kaSyachith” (even if broken into two, I will not bow down before anybody). Ukkaththavanai – one who felt proud because of the strength of his boons and his shoulders; one who is egoistic. Ukkam refers to a state of being. If the text is considered as mUrkkaththavanai the meaning will change to – one who is arrogant and stubborn. naram kalandha singamAyk kINda – iraNiyan had taken a boon that he should not be killed by anything which had been created until then. Hence emperumAn took a form which was a combination of lion and human being, narasimha, a form which had not been created until then and eliminated him. He incarnated combining both lion and human. naram kalandha singam – like a mixture of concentrated milk and sugar or a mixture of milk and honey, emperumAn took incarnation as a combination of lion and human. If he had taken a form of only lion or man, he would have had to be pushed out. thiruvan – AzhwAr says that even if emperumAn had combined two forms which were incompatible with each other, he had total radiance about him. He says that emperumAn was like SrImath [refers to mahAlakshmi being always with emperumAn]. Haven’t nAnmugan thiruvandhAdhi 22 “azhagiyAn thane ariyuruvam thAnE” (even if he has the form of lion, he is beautiful) and SrI vishNu sahasranAmam says “nArasimhavapu: SrImAn” (he is lion and human forms put together and has the support of mahAlakshmi) conveyed the same meaning! adiyiNaiyE – his two divine feet, which complement each other. angaN mA gyAlaththu amudhu – AzhwAr says that emperumAn is the nectar consumed on the beautiful, expansive earth. The nectar which is to be enjoyed in paramapadham (SrIvaikuNtam) is available to be enjoyed on this earth itself, he says. 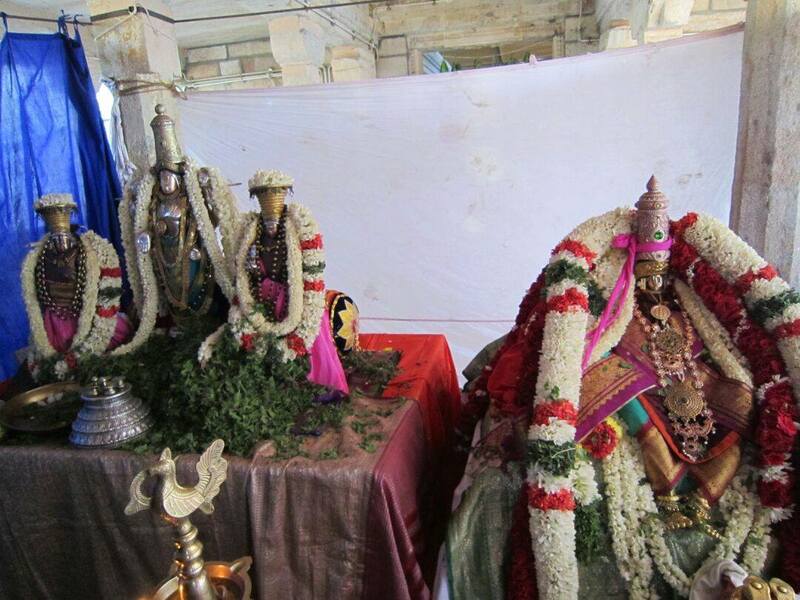 thiruvan – one who is with pirAtti (SrI mahAlakshmi). Isn’t the reason for removing the enemies of followers, to please the mother of such followers! Just as it is mentioned in SrI rAmAyaNam AraNya kANdam 30-39 “tham dhrushtva SathruhanthAram maharshINAm sukhAvaham babhUva hrushtA vaidhEhi bhArthAram parishasvajE” (after seeing SrI rAma who annihilated the enemies and gave comfort to the sages, sIthA felt that she existed; she was joyous; she embraced him, her husband, tightly), did not sIthAp pirAtti become happy because the demons were eliminated and hence hugged him! Thus AzhwAr says of emperumAn as thiruvan because he killed iraNiyan. angaNmA gyAlam – since the earth was apt for emperumAn to take incarnation, AzhwAr calls it as angaNmAgyAlam (beautiful, expansive world). This entry was posted in iraNdAm thiruvandhAdhi, iyaRpA on January 30, 2018 by T N Krishnan. In pAsuram 74, AzhwAr called himself as “perum thamizhan nallEn” (an expert in great thamizh arts), mentioning about his greatness and composed poems also [to prove his point]. Now, thinking of the union of emperumAn and pirAtti, he feels ashamed and says “am I attempting to sing about them! What a courageous act did I try to enact!” feeling repentence. Earlier, since he spoke about emperumAn who is greater than everyone else, he asked whether there is anyone who is equal to him. But since he has now seen emperumAn along with pirAtti, he says that he has not said anything appropriate to their greatness. nammAzhwAr too has mercifully mentioned in his thiruvAimozhi 3-1-6 “pUvinmEl mAdhuvAzh mArvinAy ensolli yAn vAzhththuvanE” (Oh one who has SrImahAlakshmi, who stays on a lotus flower, residing in your chest! How can I praise you?). He feels ashamed that he attempted to sing about emperumAn after seeing his greatness. Now it appears to him that what he did earlier (in pAsuram 74) and his desire to obtain benefit from emperumAn are inappropriate. kuRaiyAga venjoRkaL kURinEn kURi – AzhwAr says that these are the wrong actions that he had done: I spoke in such a way that there will be faults. I spoke harsh words. I spoke about emperumAn who is full in everything, with belittling words. On top of that, I spoke in such a cruel way that the ears of those who listened to those words would turn red. kuRaiyAga – If a person sees an ocean, can he estimate its depth or the length of its shore? Looking at the greatness of emperumAn and his own lowliness, it appears to AzhwAr that his words were belittling. vem soRkaL – I spoke in such a way that emperumAn’s divine mind would have felt hurt. kURinEn – I spoke about something which I couldn’t have seen. I spoke of a matter which cannot be estimated, in a way which was limiting it. kURi – not only doing the above. With the knowledge that I had, I did not even repent for my act. I felt that the act that I had undertaken was correct. maRai Angu ena uRaiththa mAlai – If the person who was spoken about by me were one who could be forgotten, all that I had done would have been without any fault. But emperumAn, who was spoken about me, is such that whatever he utters becomes vEdha. He is such a supreme lord. muNdaka upanishath 2-1-4 says of emperumAn “vAgvivruthAScha vEdhA:” (whatever was uttered by him became vEdha); he is superior to everyone else. Alternatively, vEdhas which came to explain the true meanings would define him such that he cannot be estimated; he has such greatness. We can construe this as vEdhas saying that he is Angu meaning he is “like that”. iRaiyEnum eeungol enRE irundhEn – even though none of whatever I had composed on him deserved any present (gift), I waited in anticipation as to whether emperumAn would give some present for it. Not only did I say something with fault, but I was waiting for being complimented for it! 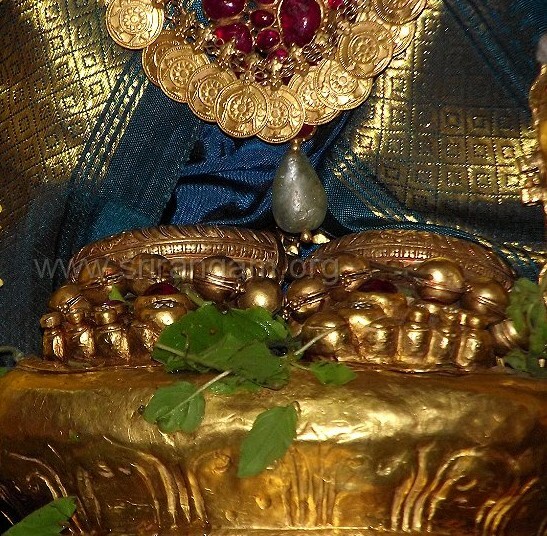 mAyankaN senRa varam – the grace which was present in that wondrous emperumAn. iRaiyEnum eeyungol enRE irundhEn – after seeing the way he was giving gifts to those who sang about him earlier, I was also expectantly waiting whether he would not gift me anything. Will this AzhwAr sing a hymn for getting a benefit? Even though he did not sing the hymns for a benefit, if emperumAn looks at him and graces him with his eyes, AzhwAr would treat that as a benefit for his svarUpam (basic nature). senRa varam – we can construe this as meaning that AzhwAr was waiting in anticipation as to whether emperumAn would grant the boon at least a little bit. We shall take up the 84th pAsuram next. This entry was posted in iraNdAm thiruvandhAdhi, iyaRpA on January 29, 2018 by T N Krishnan. AzhwAr says “Is it that I saw only that beautiful form?”. In this pAsuram he says that he also saw pirAtti, who has a matching form for emperumAn, along with him. In the previous pAsuram he said that he got to see nArAyaNa. In this pAsuram he says that he saw him together with thirumagaL (mahAlakshmi). It is not the brahmachAri (bachelor) nArAyaNa, but thirunArAyaNa (SrIman nArAyaNa) that he saw. Just as radiance is to sun, pirAtti is for emperumAn and hence he says that he saw emperumAn with radiance. nalam purindhadhu enkolO – why is she nurturing her desire for emperumAn? vadikkOlam – pirAtti’s beauty is such that it is fully filtered so that there is no fault in it and only the pure form of beauty is present. nanjIyar (preceptor of the commentator nampiLLai) will ask as to whose beauty is the one which is made from the residue (of pirAtti’s beauty) (The opinion here is that it is emperumAn’s beauty which is made from the residual beauty of pirAtti’s). emperumAn’s beauty is such that all the other beautiful forms in the world are faulty in comparison with his while pirAtti’s beauty is such that emperumAn’s beauty is faulty in comparison with hers. vAL negungaN mAmalarAL – pirAtti is such that she has this faultless beauty, is radiant and has wide, expansive divine eyes (vAL here means radiance). She is the personification of sweetness. Her eyes have one target and one person. Even those who enjoy this cannot see the boundary for this beauty. Has it not been said in SrI rAmAyaNam sundhara kANdam 16-14 “thrailOkyarAjyam sakalam sIthAyA: nApnuyAth kalAm” (even the entire three worlds cannot match a part of sIthA pirAtti’s beauty)! The term vAL nedungaN implies that her eyes have the filtered portion out of the filtered beauty of her divine form. mA malarAL – pirAtti has fragrance as her causative factor. She has the softness and fragrance of lotus flower. sevvip padikkOlam kaNdu agalAL pannAL – looking at the divine form of emperumAn which is beauty personified, she will not leave him even for a moment. sevvi refers to the freshness of the flower which has just blossomed. padikkOlam refers to his beauty which is referred to as “arumbinai alarai ” (budding flower, about to blossom) in thriuvAimozhi 7-10-1 and as “sadhaika rUparUpAya” (having unchanging form) in SrI vishNu purANam. Even as periya pirAtti is constantly enjoying his beautiful form, she will not leave him even for a moment as mentioned in thiruvAimozhi 6-10-10 “iRaiyum agalagillEn”(cannot separate even for a moment). She will not feel satisfied even after seeing and enjoying emperumAn for a very long time and will not leave him. Is it because she has no other alternative? No, it is because she cannot take her eyes off him and cannot move away from him and will continue to enjoy him. adikkOli gyAlaththAL – bhUmip pirAtti (bhUdhEvi), with lot of desire, got in to enjoy emperumAn. While periya pirAtti enjoys only emperumAn, bhUmip pirAtti enjoys both emperumAn and periya pirAtti. Consistent with this, she enters with lot of expectation. For periya pirAtti’s eyes, the target is only emperumAn while for bhUmip pirAtti, since the target is double with the union of emperumAn and periya pirAtti, her longing is twice as much. gyAlaththAL – epitome of patience. pinnum nalam purindhadhu enkolO – In a deep water body [lake or river or ocean] when an expert in swimming struggles to stay afloat, the person in the shore should not enter that place and instead, plan to move away. periya pirAtti, unable to enjoy emperumAn fully, struggles but bhUmip pirAtti decides to enter the fray. When periya pirAtti, who is far superior to everyone else, herself struggles to enjoy emperumAn, bhUmip pirAtti, instead of moving away from the place, engages with emperumAn. What is the reason for this? kOlaththAl illai kuRai – For the people in the world, the beauty will be such that even two people will be one too many to enjoy that beauty. But emperumAn’s beauty which is without any shortcoming is such that, unlike the former case, anyone who comes to him will immerse in it. The beauty of his divine form will attract even those who are on the shores. Even when her nose and ears were cut off, did not sUrpaNakA describe the beauty of rAma and lakshmaNa, as in SrI rAmAyaNam AraNya kANdam 19-14 “tharuNau rUpa sampannau” (they are young and beautiful)! Due to her ill thoughts, she went the wrong way. People will be caught in emperumAn’s divine form in whatever state they are in. In samsAram, there isn’t enough beauty for one person to enjoy another. Thus if there are many people, it leads to fight. However, in the case of emperumAn, his greatness is such that many people can enter the river [of emperumAn] to enjoy him. All that is required is a sense of longing to enjoy him. We shall take up the 83rd pAsuram next. This entry was posted in iraNdAm thiruvandhAdhi, iyaRpA on January 28, 2018 by T N Krishnan. In the previous pAsuram, AzhwAr spoke of the status of those who got to see emperumAn. In this pAsuram, he mercifully explains the status of emperumAn on showing himself to his devotees. In the previous pAsuram he spoke of the status of the sages of dhandakAraNyam (forest area) on seeing the divine form of SrI rAma pirAn. We can construe that in this pAsuram, AzhwAr says that not only those sages, but even he had the fortune to see emperumAn and as a result, a new dawn occurred to him. pagal kaNdEn – I saw a good dawn. Days before this were full of heavy darkness. Instead of such a heavily dark day, I saw dawn. 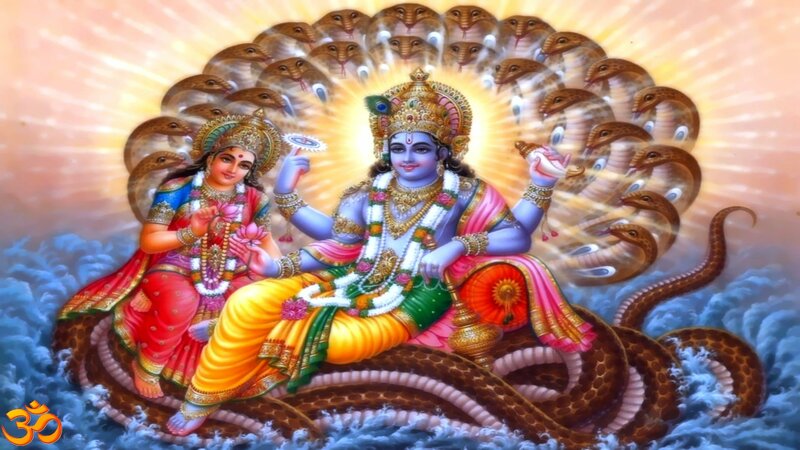 Just as akrUra said, as in SrI vishNu purANam 5-17-2 “suprabhAthA cha mE niSA” (my night became a beautiful dawn for me today itself), on the day that he went to see kaNNan (krishNa), AzhwAr also says similarly. There is only one night and one day. In other words, all the times before knowing emperumAn are nights only and all the times after knowing him are only days. There will be no admixture of nights in this. nAraNanaik kaNdEn – When AzhwAr was asked “Your saying that you had seen dawn is not clear to us. Your words are incomprehensible, similar to those of vadugar’s. Please say it in a way which is comprehensible to us”, he says that he had seen the sun which does not set. He says that he had also seen himself not sleeping. What has been mentioned in gaudapAdha kArikai 21 “anAdhi mAyayA sUptha:” (jIvAthmA sleeping from time immemorial due to prakruthi sambandham (connection to primordial matter)) is not natural to jIvAthmA. 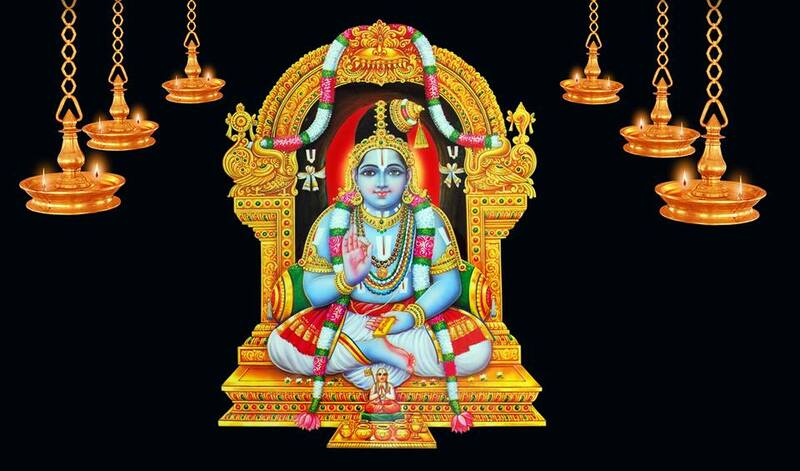 He [jIvAthmA], like iLaiyaperumAL (lakshmaNa) is expected to give up his sleep and carry out service. It is said of nithyasUris in rig ashta. 1-2-7 “sadhA paSyanthi…. jAgruvAm samindhathE” (always awake and seeing). 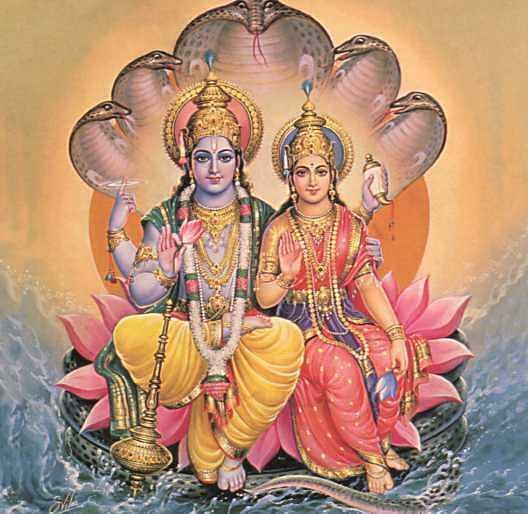 AzhwAr says that he saw SrIman nArAyaNa who is the lord of both the vibhUthis. He is the sUriya (sun) who does not travel. He is not one who is appointed but one who gives out commands. Just as it is mentioned in thaiththirIya upanishath Anandhavalli 8 “bhIshOdhEthi sUrya:” (sun rises due to his fear of emperumAn), he orders sUriya also. Not only sUriya. Just as thaiththirIyavalli Ara. 3.11 says “antha: pravishta: SAsthA janAnAm sarvAthmA” (being the indwelling soul of all jivAthmAs, he permeates all and controls them) he controls all. kanavil migak kaNdEn mINdu avanai – instead of seeing with the help of sensory perceptions [with the sensory eyes] AzhwAr says that he saw emperumAn fully, with his mind. He saw emperumAn with the help of his mind which cannot be confused by sensory perceptions. meyyE migak kaNdEn – I saw beautifully such that I could know very well. Un thigazhum nEmi – chakrAyudham (disc) which has a beautiful form; or, chakrAyudham which kills the enemies and stays in their bodies; or, chakrAyudham which stays on emperumAn’s divine form. Isn’t he praised by periyAzhwAr in his thiruppallANdu 2 “vadivAr sOdhi valaththuRaiyum sudarAzhi” (chakrAyudha which dwells on emperumAn’s right hand and is radiant)! oLi thigazhum sEvadiyAn – one who has divine feet which are radiant; the divine feet which promulgate the greatness of the lord. vAn thigazhum sOdhi vadivu – I got to see emperumAn who resides in paramapadham (SrIvaikuNtam) with radiant form. Alternatively vAn thigazhum could mean having a form like cloud and AzhwAr says that he saw here itself the radiant form which remains in the sky. This entry was posted in iraNdAm thiruvandhAdhi, iyaRpA on January 27, 2018 by T N Krishnan. This entry was posted in Audio, thiruvAimozhi, thiruvAimozhi 6th centum on January 27, 2018 by Sarathy Thothathri. AzhwAr says that the moment he thought of emperumAn, he got engaged with him and that the services that he renders at the divine feet of emperumAn were very much delicious for him. He wonders that if this is the status for a person who just thought of emperumAn, what would have befallen those who got to see him entirely, directly. padi kOlam kaNda munnaip pagal en kolO – how would it have been to those who were able to have dharSan of the natural decoration in the previous times? nErndhEn adimai – I involved myself in service to emperumAn. I attained the service which was apt for me. Just as he had used the term thuNindhEn in pAsuram 65 (I resolved), AzhwAr is using the term nErndhEn here. Kings get to have their coronation. In the same way, I got to carry out service. ninaindhEn adhu oN kamalam – I thought of his beautiful divine feet. This is coronation for this AzhwAr. nammAzhwAr in his thiruvAimozhi 4-3-6 “kOlamAm en sennikku un kamalamanna kurai kazhalE” (your lotus-like divine feet are the apt decoration for my head) and kulaSEkara AzhwAr in his perumAL thirumozhi 7-11 “mAladi mudi mEl kOlamAm kulasEkaran” (the decoration on the head of kulasEkara AzhwAr when kept on the divine feet of thirumAL) have mercifully mentioned that the divine feet of emperumAn would be the decoration on their heads. Those who wish to be servitors should meditate only on the divine feet. In SrI rAmAyaNam AraNya kANdam 1-10 it is said “dhivyagyAnOpapannAsthE” (the sages with divine wisdom surrendered to SrI rAma) and in ayOdhyA kANdam 83-9 bharatha said “dhrushta Eva hi na SOkam apanEshyathi rAghava:” (SrI rAma will remove our hurdles as soon as he sees them). ArndhEn un sEvadimEl anbAy – I was full of affection for your divine reddish feet and as a result became saturated with that love. I was fully involved in your divine feet with love. Arndha adikkOlam kaNdavarkku en koLo munnaip padikkOlam kaNda pagal – For those who had the fortune of seeing emperumAn’s divine feet, what would have happened when they had the fortune of seeing the divine form of emperumAn, which is the causative factor for the divine feet! In other words, how much would they have suffered [emperumAn’s beauty would have left them bewildered]! Alternative meaning – AzhwAr refers to himself as one who had the fortune of seeing his divine feet and wonders that if he is so bewildered looking at his divine feet, what would have those, who got to see his complete divine form in earlier period, have suffered? We can also consider this as AzhwAr wondering as to how those who had earlier seen the beauty of his divine form would now have suffered after seeing the beauty of his divine feet. Another explanation is that for those who got to see emperumAn’s divine feet during the time of his thrivikrama incarnation, how they would have have felt when they had earlier seen the natural beauty of his divine form with the divine feet. This entry was posted in iraNdAm thiruvandhAdhi, iyaRpA on January 25, 2018 by T N Krishnan. In the end, AzhwAr says “Those who learned this decad which speaks about krishNa’s activities, will become an exclusive devotee of krishNa like himself”. 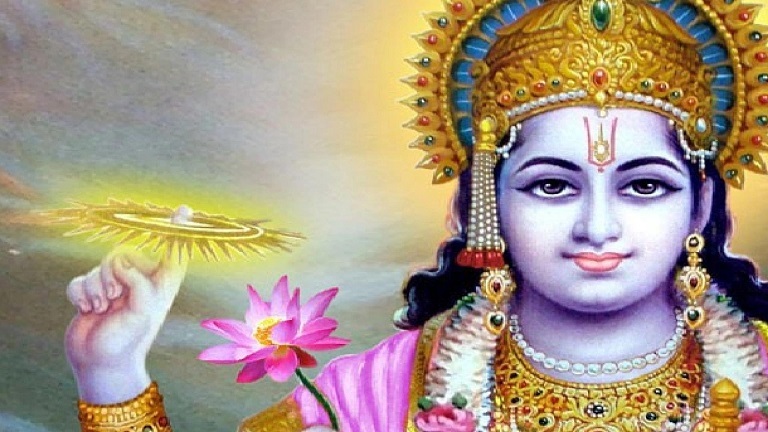 Subsequently, AzhwAr explains the result as becoming an exclusive devotee of bhagavAn on having connection with this decad. thuvaL inRip paththar Avar – will be endowed with ananya prayOjana bhakthi (devotion without any other expectation) towards krishNa. nammAzhwAr mercifully spoke this decad among the thousand pAsurams on the divine feet of krishNa, who killed kESi. krishNa, who is the controller of all worlds, made the worlds which are controlled, enter through his mouth, kept them safely and spat them out, having all of them as his body and still being untouched by their defects; by this decad, one will be endowed with ananya prayOjana bhakthi towards krishNa. 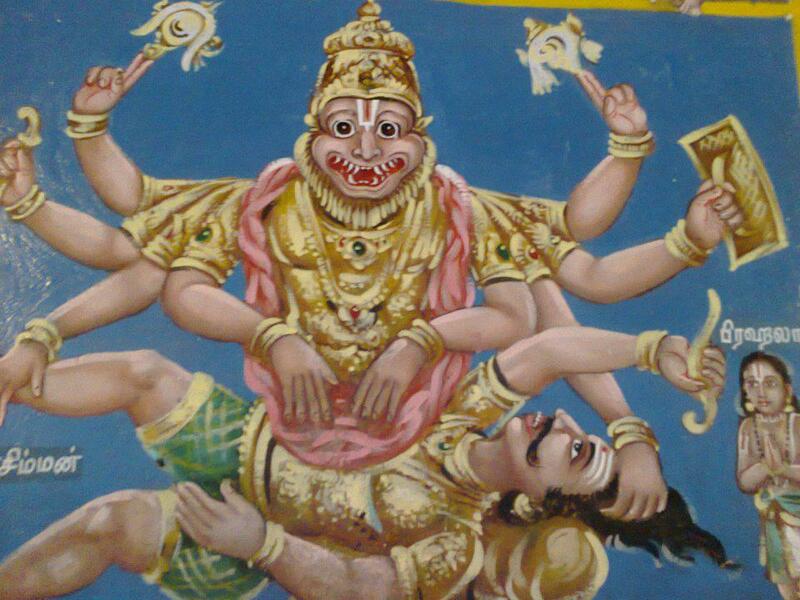 nAyagan … – Being the controller of all chEthanas (sentient beings) and achEthanas (insentient entities) , protecting them all by placing them in his divine stomach during deluge, letting them out so that they are not compressed for space inside, having them all as his body to have them identified as “thAn” (himself) in all states and forms, and being untouched by their defects even when he has them all as his body. kEsavan adi iNai misai – On the divine feet of sarvESvara who is the killer of kESi. It is explained [by pUrvAcharyas] that “AzhwAr is speaking together the supremacy which was explained in the previous decad and krishNAvathAram where emperumAn killed kESi which is explained in this decad and concludes here in this manner”. Another explanation – also explained as speaking about krishNa’s aspects/activities only as said in mahAbhAratham sabhA parvam 38.23 “krishNa Eva hi lOkAnAm” (krishNa is the cause for all worlds). thUya Ayiraththu ippaththAl paththar Avar thuvaL inRiyE – Those who practice this decad will become like AzhwAr. Due to the presence of this decad, the thousand pAsurams are having purity; alternatively – among the thousand pAsurams, since this decad speaks about krishNa’s activities, it can be said as the decad which is having purity. thuvaL inRiyE paththar Avar – thuvaL means defect. That is, instead of seeking out other incarnations of emperumAn, they will immerse in krishNAvathAram only. This entry was posted in thiruvAimozhi, thiruvAimozhi 6th centum on January 24, 2018 by Sarathy Thothathri. AzhwAr says that the activity of vAmana, measuring the worlds, is equivalent to SrI rAma going to the forest despite his mother stopping him. avan aLandha nIL nilam thAn nEr – only the activity of measuring this huge world, is equivalent. pin ninRu thAy irappak kELAn – kausalyA, mother of SrI rAma, followed SrI rAma and told him “dear son, I have only one son; can I live if I am separated from you? Please do not go to the forest”. Not heeding to her plea, SrI rAma went to the forest. perum paNaiththOL mun ninRu – sIthA pirAtti, who is soft and is incarnation of SrI mahAlakshmi, and who is mentioned in SrI rAmAyaNam AraNya kANdam 60-20 as “bAhU rAmasya samSrithA” (one who embraced the shoulders of SrI rAma) and who said as mentioned in SrI rAmAyaNam ayOdhyA kAndam 27-7 “agrathasthE gamishyAmi” (I will precede you [to the forest]), told SrI rAma that she cannot survive without him and prayed to him to let her precede him to the forest. In SrI rAmAyaNam ayOdhyA kANdam 30-18 didn’t sIthAp pirAtti tell SrI rAma “yasthvayA saha sasvargO nirayO yasthvayA vinA” (it will be heavenly if I am with you and hellish if separated from you)! sIthAp pirAtti’s divine shoulder has been described here as perum paNaiththOL moymmalarAL. It is opined here that sIthAp pirAtti’s gentleness and divine beauty were such that SrI rAma himself would come and beseech her. irappAL – Just as one would throw a beautiful garland into fire thinking that it would make it more beautiful, the person with a gentle and divine beauty went to the forest [the simile stresses that both acts are absurd]. 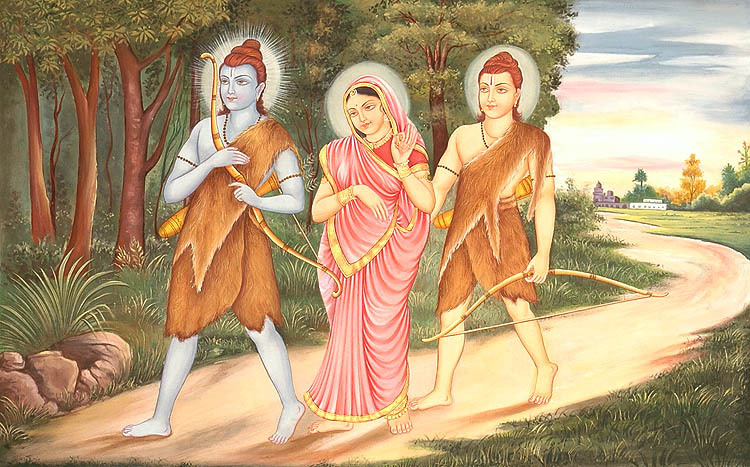 sIthAp pirAtti prayed to SrI rAma that she will not live separated from him and that she would precede him to the forest. SrI rAma, thinking whether it would be apt to take sIthAp pirAtti to the forest which will be similar to a garland being thrown in sunlight, refused to take her. While sIthAp pirAtti was constantly thinking of SrI rAma, SrI rAma was constantly thinking of sIthAp pirAtti. thOnRal – SrI rAma appeared as if he is the epitome of gentleness. avan aLandha nIL nilam thAn aththanaikkum nEr – the great expanse of earth which was measured during the incarnation of thrivikrama, would equal that. Just as it is mentioned in periya thirumadal “ponnagaram pinnE pulamba valangoNdu mannum vaLanAdu kaivittu” the act of going to the forest as ordained by his father, not listening to the pleas of his relatives, is equivalent to measuring the worlds. AzhwAr says that the act of going through the stones and thorns in the forest, in rAmAvathAram, with his gentle divine feet is equivalent to measuring the world with its forests and ups and downs with his gentle divine feet during the incarnation of thrivikrama. We shall take up the 80th pAsuram next. This entry was posted in iraNdAm thiruvandhAdhi, iyaRpA on January 24, 2018 by T N Krishnan.